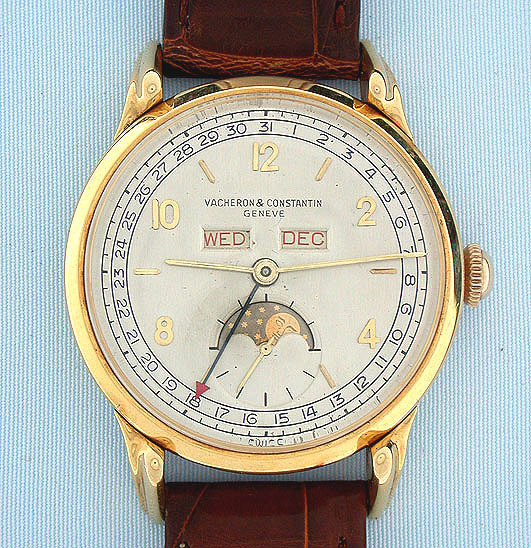 Handsome and rare large Vacheron & Constantin 18K yellow gold triple calendar moon phase vintage wrist watch circa 1945. 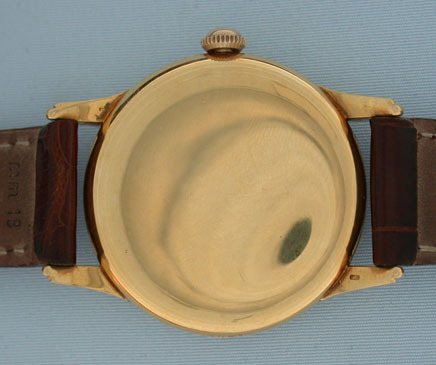 Original dial with applied gold markings and calendar and moon phase indications. 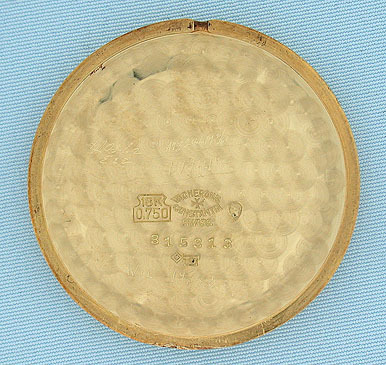 The case with fancy downward sloping lugs. 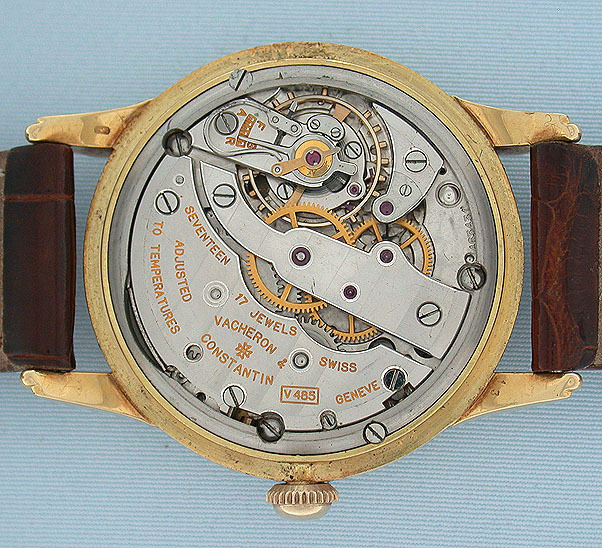 Nickel 17 jewel adjusted movement. Particularly attractive example.